A man was shot in the face early Tuesday as he rode a bicycle near a VTA station in San Jose, sheriff’s deputies said. Anser Hassan reports. A man was shot in the face early Tuesday as he rode a bicycle near a VTA station in San Jose, sheriff’s deputies said. According to the Santa Clara County Sheriff’s Office, the shooting was reported to the San Jose Fire Department at 1:17 a.m. from the Capitol light rail station at 600 West Capitol Expressway. Responding paramedics located a middle-aged man with a facial injury, deputies said. The man, who was conscious at the time, told first-responders that a projectile had hit him. He was taken to an area hospital for treatment where doctors realized that he had been shot, according to deputies. His injuries are considered non-life threatening. Sheriff's deputies from the Transit Patrol division have since launched a criminal investigation. 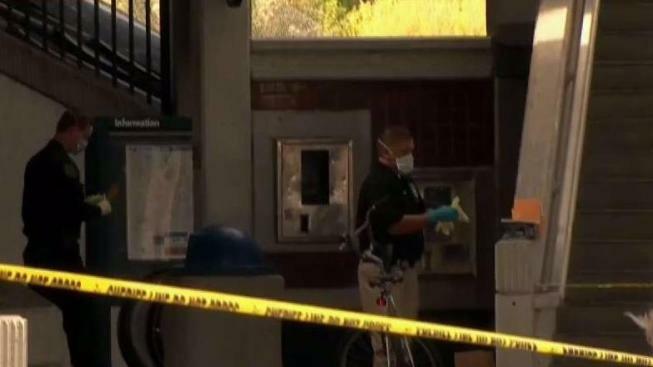 The VTA station was closed till around noon while investigators canvassed the area and collected evidence. Deputies have not provided any suspect information.